Mary Jane’s at Parker Ranch Center is the place to find gorgeous, yet affordable clothing, jewelry and accessories to compliment any style. No need to shop on-line or travel, Mary Jane’s has all the hottest brands in stock, such as Alex & Ani, Kendra Scott, Marahlago, MantraBands, and Dogeared. Visiting our beaches and wanting to take a piece of the Big Island with you? Mary Jane’s has one-of-kind pieces of jewelry from Megan’s Island Jewelry, Dune Jewelry, and Island Splash, featuring sand and shells from the Big Island. 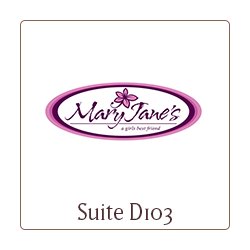 Mary Jane’s also offer a large collection of home décor and gifts for any occasion. Whether you need the perfect outfit for tonight’s Luau, a special piece of jewelry, or a housewarming gift for your new neighbor, you will find it all at Mary Jane’s!